Shake Milton is on a two-way contract with the Sixers. Shake Milton had surgery to repair a fracture of the fourth metacarpal finger on his right hand Tuesday morning. The sidelined 76ers two-way guard will be re-evaluated in two to three weeks. 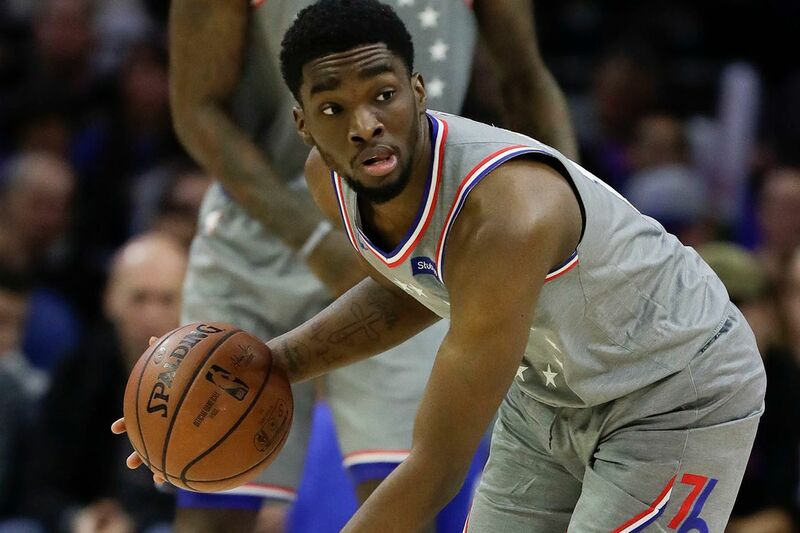 Milton suffered the injury during the Delaware Blue Coats’ G-League game in Austin on Feb. 5. Dr. Asif M. Illysas, a hand specialist, performed the surgery at the Rothman Institute at Jefferson Hospital. This is Milton’s third injury in two years and the second time he’s broken that hand in that timespan. The 22-year-old suffered a season-ending broken right hand last season at SMU. The Sixers drafted him with the 54th pick in the June. He missed the summer league with a stress fracture in his back. He suffered that injury during the pre-draft process. Milton is known as a creative passer who excelled in transition at SMU. However, he’s really made his mark at a sharpshooter while playing with the Sixers. Milton averaged 4.0 points and 9.7 minutes in 13 appearances with the Sixers. He’s made 10 of 25 three-pointers for 40 percent. He’s made 4 of 5 foul shots. The 6-foot-6, 195-pounder averaged 18 points, 4.7 rebounds, 4.4 assists and 1.4 steals in college. He scored in double-digits in all 22 games he played for SMU in his final season. Milton, who played three seasons at SMU, was the American Athletic Conference preseason player of the year in 2017. Sixers assistant coach John Bryant will serve as a Global coach in the fifth annual Basketball Without Camp that will be held Friday through Sunday at the Queens University of Charlotte Levine Center for Wellness and Recreation in Charlotte, N.C. The camp is part of the NBA All-Star Weekend. Sixty-three boys and girls from 31 countries and regions around the world will participate in the camp. Denvers Nuggets All-Star Nikola Jokic (Serbia) and Orlando Magic All-Star Nik Vucevic (Montenegro) and Phoenix Suns’ 2018 first-overall pick Deandre Ayton (Bahamas) and Sacramento Kings second-year player Bogdan Bogdanovic (Serbia) will be some of the other camp coaches.